The holiday season is here, and we can pretty much guess that your calendar is quickly filling up with parties, gift exchanges, and family gatherings right before your eyes. Wanting to look your absolute best at these types of events is completely natural, and in order to do that, you want to feel as comfortable as possible in your own skin. We find that the most effective plan of attack is to know your body shape and find a dress that does your fabulous figure justice! Below we have rounded up a variety of figures and the dress styles that flatter them best. From styles that flatter rectangle to pear shapes, hourglass to apple, the dresses ahead are meant to not only make you feel like the best version of yourself possible but to also show off the features you want to flaunt this holiday season. 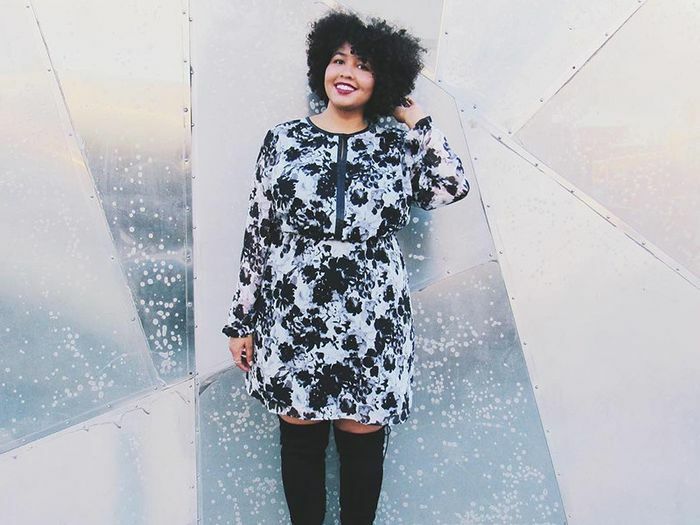 Scroll down to shop the dresses that flatter every body type! Look for dresses that have an empire or swing waist. Anything that floats away from your body will create the streamlined silhouette you're looking for. 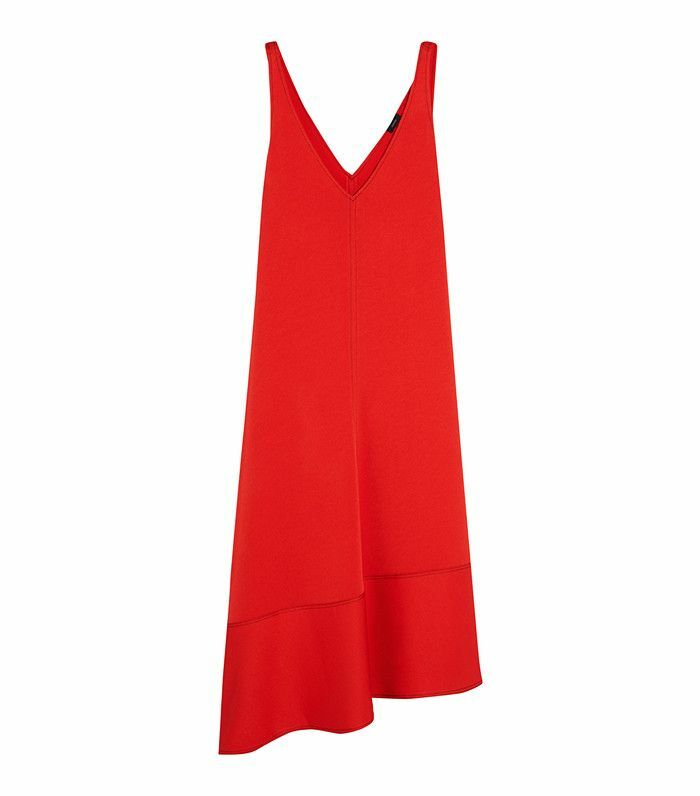 The asymmetric hem gives this vibrant piece a modern touch. Be your most eclectic self. Opt for soft pinks and cold-shoulder detailing when you crave a more feminine look. If your natural shape is straight and athletic, choose a dress that creates the curves you're lacking for you. Draping and ruching will be your best friends in this scenario. This dress will definitely land you a New Year's kiss. Everything you've ever wanted in a party dress. The Zara dress every fashion girl wants right now. If your smallest feature is your waist, it's time to show it off! Wrap dresses or any frock that ties at your mid-section will draw all the attention to your teeny-tiny waist, and distract from the areas you wish to conceal. Satin is the perfect way to channel sultry and classy. The sleeves on this midi dress add just the right amount of flair. If you are larger on top and smaller on the bottom, you will want to look for silhouettes that have something exciting going on down below. This way, your eye is drawn to the lower half of your body which also happens to be your tiniest feature—a win-win! What better way to make your soirée debut than with this dress? This print is definitely unexpected. For those of you who carry the majority of your weight down below, opt for a dress with a skirt that hits you at your waist but floats away from your body from there. In other words, a fit-and-flare shape will do just the trick. The holidays are a great time to make a bold statement. The plunging neckline is definitely the cherry on top. It's the little details that matter, after all. What are you planning on wearing to your holiday parties this year? Let us know in the comments below!